Check out the Monthly Publications of West Coast Nut Magazine were I am a contributing writer. 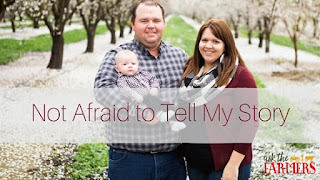 California Farm Bureau Federation Ag Alert, Farming couple confronts drought challenges. October 2014. Magazine. You have to be a Farm Bureau member to read the article on their website, but you can also find in on my blog here. LA Times, Almond the demon of drought? Frustrated growers tell another story. April 2015. AgChat is a foundation that has developed great resources for consumers to chat with farmers and ask questions. 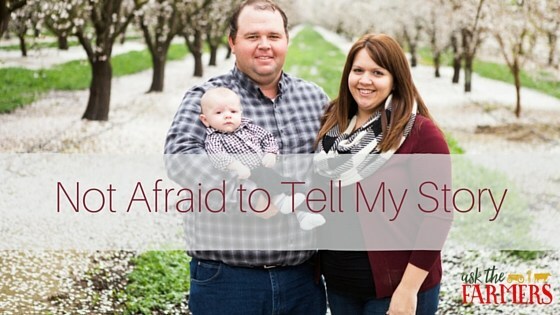 I was featured on the Why Do I AgVocate? series. Check me out over at Rural Housewives where you will be able to find myself and other farm women blogging about our lives! I was honored to be featured in my blogger friend, Prairie Californian 30 Days of Food Almond Girl Feature which I answered some farming questions and she shared a delicious almond crusted chicken recipe. My Water Series was featured in a blog post by For Farm and Ranch Women. A place for female voices to tell their stories of agriculture for each other and to the urban neighbor. The Almond Board of California also posted my Pollination Series on Buds, Bees and Bloom. Fence Post Ag showcased my farming story and how our family came to be where it is today.